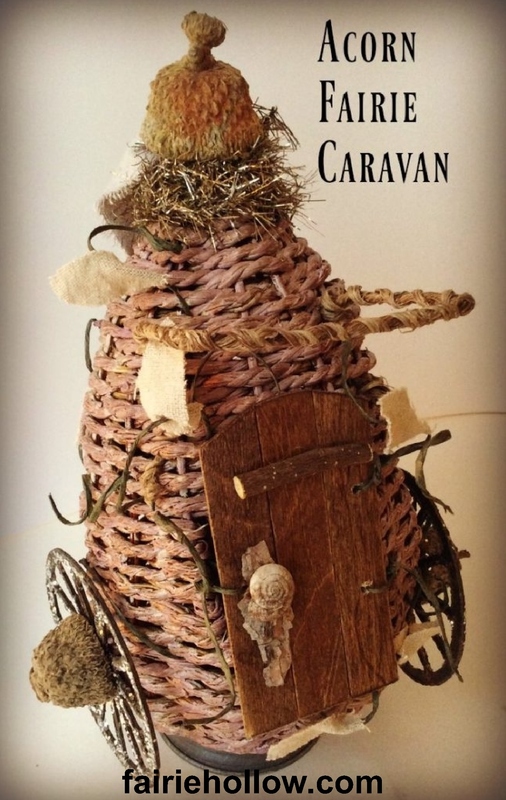 This fairie caravan was made from a willow bird nest that I found at my local nursery and feed store. Its funny how you can look at things in a completely different way than what is was made to do. 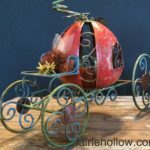 When I saw the bird feeders I saw a fairy caravan! I painted it pink and added miniature metal wheels. 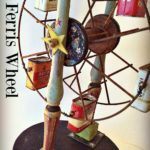 I used metal wheels that I found on Ebay but I have seen some nice ones that are wooden at Hobby Lobby. Love that 40% coupon! Anyway…the door is made out of pop cycle sticks. There are lots of tutorials on Pinterest. I added some acorns to the wheels and the top then I wrapped some vintage tinsel around the acorn on top. A thicker paper covered wire was made as an awning. Just shape the size and shape you want then leave an inch or so on each end to put through the wicker to secure it to the birdhouse. 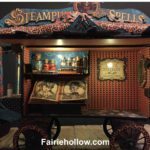 There are so many things you could add to your own fairy caravan. Since fairies live in nature they like things that come from their surroundings. So keep that in mind when designing a home or accessory for them. It never feels quite right to see something plastic in a fairy garden…its always an sign that it was made by bigger folk. I know the intentions are good but I’m not sure it gets used. 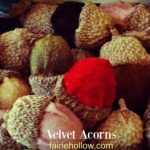 I think they are more for decoration…which is ok too! Above all just enjoy creating something for the fairies. They will be happy to see the beautiful caravan and don’t be surprised when it has moved from the spot where you placed it! Wonderful things happen when we aren’t looking. 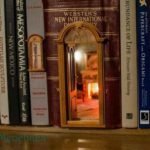 There is magic in the world! Embrace it! 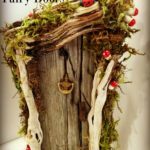 You can Make a Fairy House out of a Rock!